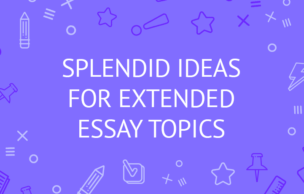 Finding a great topic for an essay may sound easy until you have to write it. Then your mind goes blank or nothing really sounds quite right. You finally end up overthinking it. 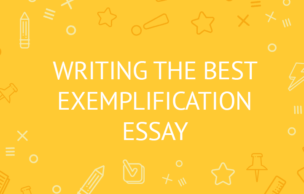 If you are trying to find your next great essay topic, this article is going to help you in so many ways. Keep reading to discover new topics about relationships, sports, family life, socialization, education, and, of course, college life. There are even ideas on driving and transportation so you will be able to find something that you can write about. After you have carefully selected your essay topic, you will then be able to grow your ideas from scratch. You will accomplish writing a paper that is unique as well as organized in essay form. Before you begin, go through the list below, carefully thinking each topic through and discovering which one you are most interested in. If you aren't interested in the topic, writing about it will seem like it takes forever so find something that you like. Can you stop bullying on social media? Should women take the first step in a relationship? Texting vs face-to-face relationships: what is the long-term effect? Can we end stereotyping and racism? How can we make a difference as individuals and as a whole society? Group barriers need to be broken. How can it happen? Describe your problem in great detail. Don't leave any details out so your readers will be able to see the issue through your own eyes, just as you see it. What's the solution to your problem? Every problem has a solution or solutions that can range from the most practical ones to the most difficult ones. You have your readers’ attention. Now give them something that will have them thinking about what you are presenting as a solution. Get it all out in the open – the argument, the solution, how much it will cost or how much it will take to solve this issue as well as how doable this plan is. Tell your readers why your solution is the best choice out of all the other solutions. Remember, now is your chance to grab someone's attention and to open their eyes on what is often overlooked. We can solve these problems if people are aware of them. How to stop people from drunk driving? Teenagers need to be more cautious on the road. How do you raise awareness? Can divorce be prevented and if so, how? Children of divorced parents can do better in school, have meaningful and productive relationships, and succeed in their adult lives including marriage. How? Reducing terrorism: is it possible and if so, how? How to control the way celebrities are portrayed in the media? Online data – how can we protect it from data brokers who are selling our information to anyone who will pay for it? How can we as a society improve employment opportunities? College athletes – should they be paid or not? Young kids in sports – is there a limit to how much they should be training? Can you make a long distance relationship work if both of you are in different colleges? Which college is right for you? Are there any new ways to get more students to attend classes regularly? Do parents need to know the grades their kids get while attending college? Can college be made more affordable for everyone? College sorority or fraternity. Should students consider joining? If you are doing a problem solution essay on education, your topics are endless so you may find it hard to narrow it down. Remember to focus on what you feel is more important or what you want to see addressed. Are students learning what they need to while in school? Should a full year be based on a nationalized test? In what other ways can testing be handled to improve the education? Should foreign language studies be a requirement or an elective? Which languages should be taught? Should schools consider digital textbooks instead of traditional? Should schools accept common core curriculum? What should it include? Should the US Educational system switch to a European style system instead? Should physical education be made mandatory in schools? Addressing pregnancy in high school: can sexual education class solve this problem? Addressing dress code: should school uniforms be mandatory in all schools? Can placing undercover cops in schools, including classrooms, help to prevent shootings, violence, and drug spread? Are parents the reason a child is obese? If so, what should be done? Teaching faith to a child in and out of school: should it be done in our society? Texting and driving is wrong. What should be the punishment for someone getting caught? What can an individual do to persuade everyone that it is wrong? Parking on campus is always difficult. What are some ways that you can improve it? Training better drivers in school: should colleges introduce extra driving classes? Can changes be made to improve getting around in your town? How to launch a campaign that raises awareness and helps students be better drivers? Which traffic laws can be adjusted? Is there any need for adjustment? Does your local drivers’ education program need to be updated or changed? If so, what changes do you want to see addressed? You have the opportunity to make a difference with your essay. You are writing about something that means something to you. This essay may influence someone else who will then make a change. It's a chain reaction starting with you. That is why it is so important to pick only problem solution essay topics you feel passionate about – this is the surest way to actually make a difference with your paper. However, choosing a topic you like and feel strongly about is not the only thing that determines your end-result. Here are a couple more pointers on how you can ace any essay. First, try to choose a very specific topic question and stick to it in your paper. Remember that the subject should be neither too broad nor overly narrow. Sure, this will depend on the number of pages you have to write but on the whole, sticking to one particular question is always a good idea. Next, take some time figuring out your thesis statement. It is presented in the final paragraph of your introduction and it is the main assumption that will be further on analyzed in your work. Ideally, your main body should have from three to five paragraphs, but depending on the size of your paper, this number can be either increased or reduced. Whatever your case may be, make sure each of the body paragraphs analyzes a separate aspect of your topic. At the same time, make sure each new point logically leads to the next one. Finally, do not make a common mistake a lot of students make in the concluding paragraph. It may seem logical to quickly summarize everything you have written but to get an A+, you will have to try harder than that. The most important thing you'll need to do in the conclusion is restate your thesis and prove it either right or wrong. This is the whole point of writing an essay and this is how it is supposed to end. If by now you feel that this whole undertaking is too much for you, no need to worry. You can always contact a custom writing company just like ours that will do the job for you. Since we hire only best essay writers with a variety of degrees in both social and natural sciences, you can stay absolutely confident that your paper will be written by a qualified expert. So, of course, it will help you improve your grade – not to mention, take the trouble off your hands!